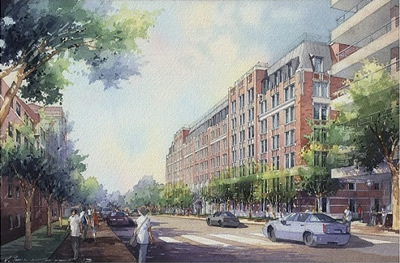 The University of Michigan has received a major gift to fund construction and fully furnish a new residential facility for graduate students. The eight-story building will be approximately 370,000 gross square feet and will accommodate approximately 600 students in an apartment-style layout. The new building is proposed to be located on the site of the current Thompson Street surface parking lot, immediately south of the Thompson Street Parking Structure and on adjacent parcels of land.